The 18-credit-hour minor gives students experience with equipment and techniques that can simulate how products are made as well as to develop improvement processes. Last year, Leggett & Platt’s Automotive Group donated a new industrial robot in support of the program. 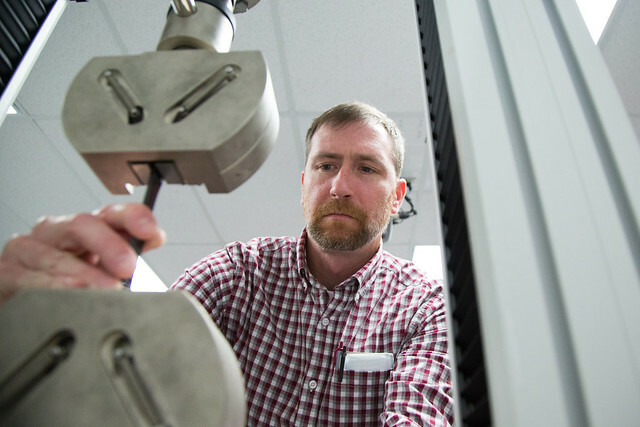 “We’ve got some good equipment,” says James March, an assistant professor in the Engineering Technology program. “We have the robot and a CNC (Computer Numerically Controlleed) machine for the automatic fabrication of parts, and a manufacturing cell integrated with conveyors, inspection devices and sensors for semi-realistic manufacturing.